Tavares (right, background) is counting on Opel boss Lohscheller (right, foreground) to end losses. 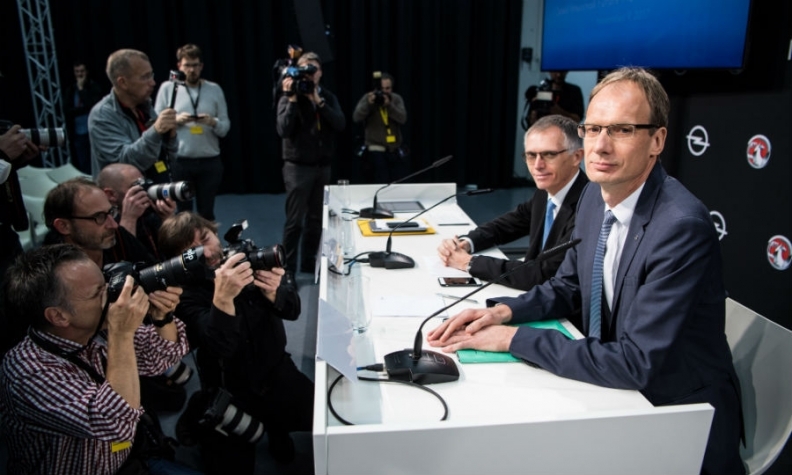 PARIS -- It was just over a year ago that PSA Group CEO Carlos Tavares shook up the automotive world by agreeing to purchase Opel and Vauxhall, General Motors' stubbornly unprofitable European brands, for $2.2 billion. The executive's rationale was relatively simple: If PSA was to grow, it needed to be more than just a French company. The Opel deal would create a "European champion," fueled by synergies from combined engineering and r&d, and Tavares's own obsession with eliminating waste from the production process. Operating profits, Tavares promised, would start appearing in 2020, starting at 2 percent and reaching 6 percent in 2026. 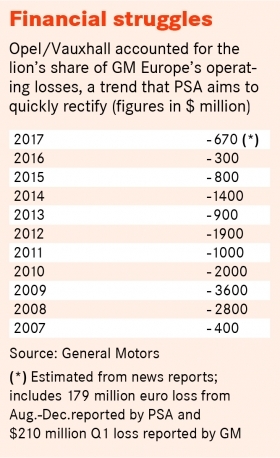 And he already had a template -- PSA's own turnaround plan, which he followed to haul the company back from near-death in 2013 to a 7 percent automotive operating margin last year. So far, Tavares says, things are on the right track, and he has "no regrets" about buying Opel/Vauxhall. He has cut costs by negotiating concessions with European unions and sharing purchasing and other expenditures. There have neither been large-scale layoffs nor factory closings, as many had feared, and PSA has even announced an investment at the imperiled Vauxhall van plant in Luton, England. "We know we can turn around this company, and we are now seeing the first concrete results," Tavares said at PSA's 2017 financial results meeting at the company's new headquarters outside Paris. Analysts say that Tavares has to start with cost cuts before tackling the more-difficult revenue side of the equation. "He's in his research phase at the moment," said Justin Cox, an analyst at LMC Automotive in London. "He's attacking costs, pooling purchasing power and leveraging engineering. Those are the kinds of things you can put into action right away, and you will see dividends quite speedily." Other initiatives are a work in progress. A high percentage of Opels are sold through unprofitable channels such as short-term rentals. Sales have fallen sharply in key markets including the UK, though analysts say that is partly a result of reducing incentives and sales in less-profitable channels. "It takes longer to make changes on the revenue side because product development takes time," said Juergen Pieper, senior automotive adviser at Metzler Capital Markets in Frankfurt. Tavares's first public step was to install his own management team at Opel, though former GM employees still fill key posts. Michael Lohscheller, Opel's chief financial officer, was picked to replace CEO Karl-Thomas Neumann, who resigned in June. Two PSA executives, Remi Girardon and Philippe de Rovira, moved over to head manufacturing and finance, respectively. Xavier Duchemin, formerly vice president of PSA retail, now heads Opel's sales and marketing for Europe. "I feel very much at home here in a European company," Lohscheller said at the financial results meeting. "In the past, I was compared with every other region in the world. Now I do benchmarking within Europe. Believe you me, my team appreciates this a lot." Tavares's cost-saving measures have included setting up a joint purchasing operation that has reduced fixed costs by 17 percent, he says. Media deals have been renegotiated, saving 20 million euros for the same content. Information technology expenses are down 39 percent. Overall, 30 percent of savings are expected to come from procurement, with the goal of reducing costs by 700 euros per car. To win the exclusive right to build the new Corsa (current model shown), Opel workers in Zaragoza, Spain, had to make concessions. PSA has been negotiating tougher contracts with unions at Opel's plants, which Tavares said trail PSA's factories in terms of efficiency and are struggling with low utilization rates. Tavares said he could not guarantee a future for the Corsa small car, Opel's best-selling model, at the plant in Zaragoza, Spain, if unions there did not agree to givebacks that reportedly included a wage freeze. "You never negotiate without alternatives," Tavares said at the Geneva auto show. "Yes, the negotiation was difficult, but this is what it takes when a company is complacent for several decades and allows a cost gap to creep against the competition." Opel reached a deal in February to make the new-generation Corsa exclusively at the Zaragoza plant starting in 2020. Some workers in Germany, where about half of Opel's 38,000 are based, have agreed to accept shorter hours and voluntary buyouts. However, at press time negotiations with the powerful IG Metall union at the Eisenach factory, which produces the Adam and Corsa, had turned contentious over a proposed wage freeze. "You can't give guarantees for five or 10 years to the German plants," he said. "This is simply impossible if you have had 17 years of operating losses." One sticking point has been the fate of the Vauxhall factories in Ellesmere Port and Luton, England. More than 600 jobs have already been cut at Ellesmere Port, which makes the Astra compact, which is also produced at a lower cost in Poland. But workers at Luton received good news last month, as Tavares traveled to the factory to announce that it would produce midsize commercial vans from Peugeot, Citroen and Opel/Vauxhall, and output would ramp up to 100,000 units a year, up from 60,000. However, the head-count issue is still not settled. Opel's ratio of labor costs to revenue is 15 percent, while it is a little more than 10 percent at other PSA brands, a figure that Tavares says must come down. One decision that Tavares has put off for now is what to do with thousands of engineers at Opel's technical center in Ruesselsheim, Germany. They will be part of a “center for engineering excellence” for self-driving cars and electrification, he said, as well as for a planned re-entry into North America. "I think he's still got a big job to be done in further rationalization," LMC's Cox said. "Utilization in some of these plants is still around or below 50 percent. This has got to be addressed before you begin to make money." Experts say that a utilization rate of 80 percent to 85 percent is necessary for an automaker to run a plant profitably. This story is from Automotive News Europe's latest monthly magazine, which is also available to read on our iPhone and iPad apps.You can download the new issue starting Monday, May 7 as well as past issues by clicking here. In December, PSA was reported to be preparing a lawsuit against GM for $620 million on the grounds that GM had not fully disclosed how far Opel was from meeting strict European Union emissions targets that start to take effect in 2020. Failure to hit the CO2 target of 95 grams per kilometer could result in hundreds of millions of euros in fines. Opel already has the highest average emissions of the top mass-market brands in Europe, according to JATO Dynamics, 123.4g/km, while Peugeot and Citroen are already much closer to the new goal. GM has said it is not aware of such a suit. For his part, Tavares said: "Our relationship with GM and my personal relationship with [GM CEO] Mary Barra is very smooth. We have excellent communication, and when there is a problem we fix it." To meet those emissions targets, PSA has accelerated its timeline to integrate its more emissions-friendly technology, including clean diesels, small turbocharged gasoline engines and soon-to-come electric and plug-in hybrid powertrains. Tavares has ruled out future sales of the Opel Ampera-e, its version of the Chevrolet Bolt EV, as a way to meet fleet emissions. "The teams from PSA and Opel were able to rebuild the product planning strategy completely, in order to put Opel back on track to meet the European regulations by 2020," Tavares said last November. 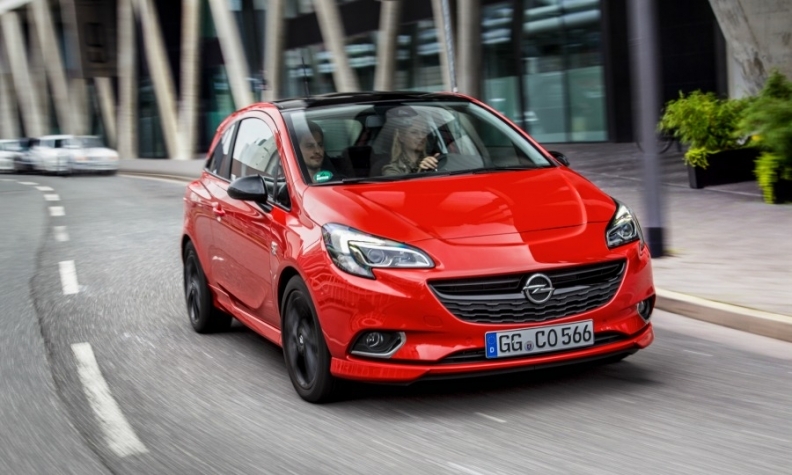 In one example, the next-generation compact Corsa, including an electric version, will be developed solely by PSA rather than as part of a joint development agreement with GM signed in 2012. All models will be on PSA platforms by 2024, with "one major launch per year" starting in 2018. Another upside is that any Opels built on PSA platforms will be able to be sold outside of Europe, as they will have no distribution restriction due to the use of GM technology. Overseas expansion is a key part of Opel's future strategy. PSA has taken some tentative steps to expand Opel beyond Europe. At the end of January, PSA announced plans to export Opels to Morocco and Tunisia, and in March it signed an agreement to start assembling the Opel Grandland X in Namibia, southern Africa, this year. PSA has taken steps to expand Opel beyond Europe. One example is the Grandland X (shown) that will be assembled in Namibia, southern Africa, starting this year. 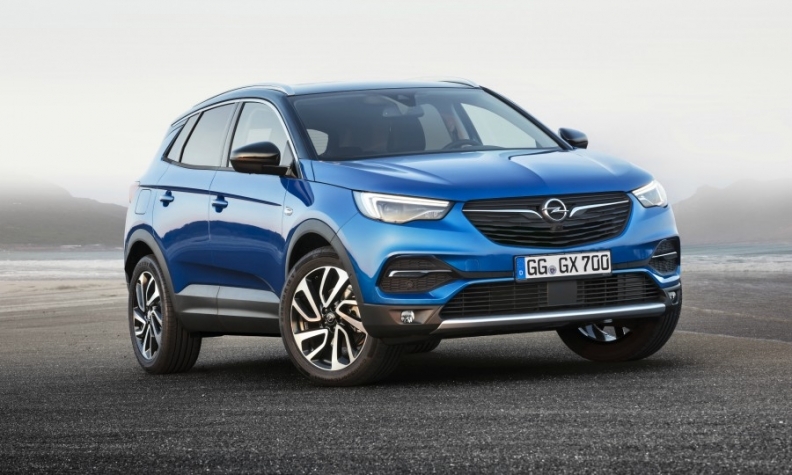 Opel has introduced three new models developed with PSA under a 2012 agreement -- the Crossland X and Grandland X crossovers, and the compact Opel Combo passenger van. Lohscheller announced in November that a larger crossover would be built in Ruesselsheim starting in 2019. "If you look at the product side, there is no real sign of recovery yet," Metzler's Pieper said. "The products have certainly improved but the competition has too." He noted that the Peugeot brand has been successful in moving upmarket. "In the German market, where people expect a lot and demand a lot, Peugeot has had a good performance in recent quarters. Opel can go the same way in a few years." Cox of LMC said the new models allowed Opel to share in the profits from Europe’s crossover boom. "Back in 2016, only 10 percent of their product was considered an SUV, and that doubled in 2017," he said. "This is good news because this is the heart of growth in the European market." By 2021 Opel says 40 percent of sales will be crossovers and SUVs. One future source of revenue is pricing. According to Lohscheller, Opel prices are 6 percentage points below their benchmarks in the biggest European markets. Much of that gap is due to sales in unprofitable channels. 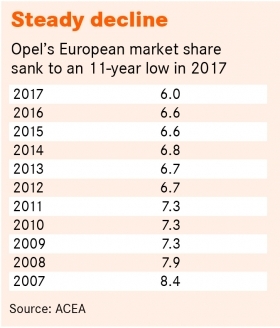 Last year, just 37 percent of Opels were sold to private buyers in Europe, compared with an industry average of 46 percent (and 48 percent at Peugeot), according to Dataforce, which says that 18 percent of Opel's sales became rental cars, and 21 percent were self-registered by dealers or the company itself. 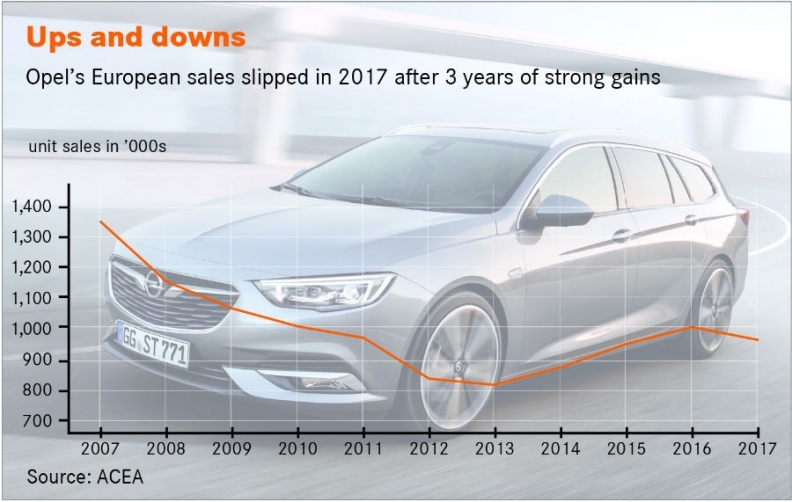 The question of what Opel's sales volume should be is a delicate one. Sales were down about 5 percent in Europe in 2017, even as the market grew by 3.3 percent. Thomas Besson, a French analyst at Kepler Cheuvreux, argued that Opel's sales have not fallen enough. "Naturally, they should let sales fall 20 to 25 percent to get to a better level of channel mix," Besson said. Cox said PSA let Opel sales "drift a bit" and noted that production was down by 8.5 percent in 2017. "They could have chased volumes and sales, with incentives and low-volume channels. They shied away from that and it probably helped their profits," he said. Improving Opel’s pricing will take time, said Maxime Picat, PSA director of operations in Europe. "It's very easy to say, 'I am taking 1,000 cars from short-term rentals, so I did my job,'" Picat said. "You have to go to the real customers and the real fleets and convince your dealers why your products are excellent and why they deserve better pricing." Metzler's Pieper said he expected that Opel's losses would continue in 2018, and indeed Tavares has said PSA will issue no new guidance before early 2019. "Opel’s situation is still very difficult," Pieper said. "I think the operating losses in 2018 will be around 500 million euros, and certainly on top of that there will be restructuring costs. Before things can change for the better, 2018 will be a very tough year," he added, noting that GM had tried to restructure Opel numerous times without success. "But it has to be done," Pieper said. "There is no other alternative."